The web is a vulnerable place. There are tons of sneakers, who look forward to getting the access to your website. Once they manage to do it, you will be locked out of your site, maybe forever. That’s why you should take some precautions to keep yourself secure. 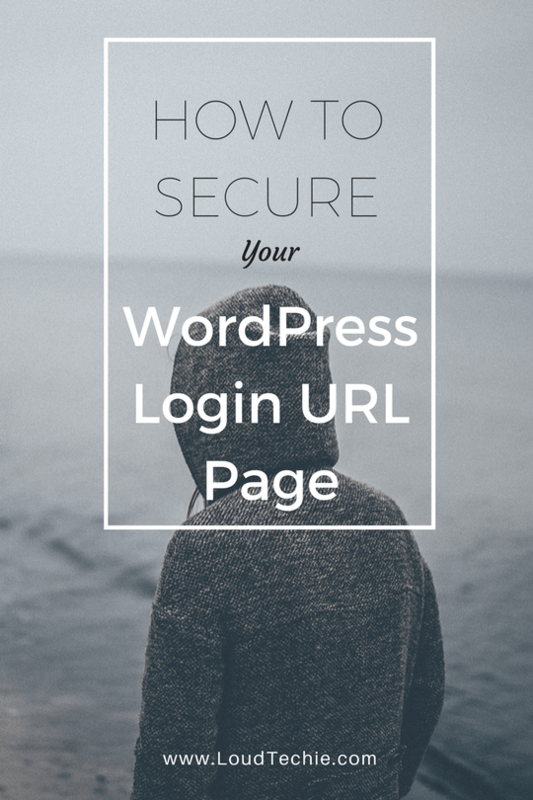 In this article, I am going to help you change your WordPress login URL for better security. Are you ready to dive into the core of this post? Here you go! Before you proceed to the process, you must know why you should do this. Firstly, the default URL for WordPress login is the same for all sites that is wp-login.php. And the dashboard URL is wp-admin. If you enter either of these URLs, you can get the login form for most of the websites. Once a hacker gets the access to your login page, he can dig in a lot of additional information using various techniques like brute force attacks, which eventually leads to leakage of your password. You don’t want that to happen, do you? That’s why you must change the default URLs. Now, let’s know how it is done. Step 1: The very first step is installing a plugin for this purpose because WP doesn’t provide us with an option to change the default URLs once our blog is up and running. 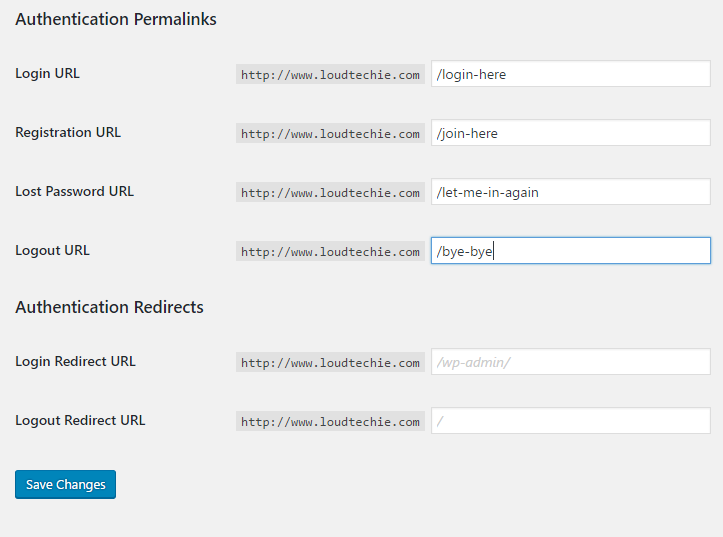 You can go with a plugin named Custom Login URL. I hope you know how to install a plugin. You can go with manual zip uploading method or the regular installation from the admin panel as well. Step 2: Once you install the plugin, you have to go to Settings>> Permalinks. There, you will see different authentication permalinks. Step 3: You can change login URL, registration URL, lost password URL, logout URL, login redirect URL (dashboard), and logout redirection URL too. In case you don’t want to fiddle with all those, I recommend you change at least login URL and login redirect URL. Don’t forget to hit Save Changes button after you apply all the necessary alterations. Chances are you may forget the URL. So, note it down inside a text file. What if you don’t want to change all the URLs, but the login only? Don’t worry! A plugin for your purpose is available on the WP repository, named WPS Hide Login. Install the plugin like you regularly do. Then, go to Settings>> General. Under WPS Hide Login, you can see a text box next to Login URL. Change it to anything you want. That’s it. I hope you know how to change login URL of your WordPress website now. Don’t forget to share this article with your friends and followers. And, I think you got no issues in changing the login URL of your site. Needless to say, you must use a strong password. Seek the help of a random password generator for that.